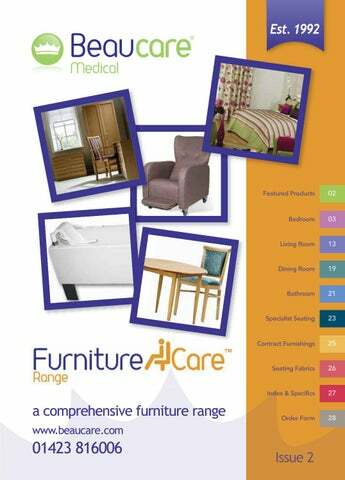 eaucare welcomes you to our new furniture4care catalogue, it’s been a while since our first one and we have a great deal more to showcase. Beaucare's long standing best selling range. 18mm MFC carcass with cam and peg construction, heavy duty drawer runners, 170 degree hinges, available in beech. The classic range is a 15mm melamine faced particle board, glued, dowled and screwed construction. 90 degree metal hinges. Available in Beech, Maple or Oak. The dementia range incorporates soft rounded corners, large scoop detail, with open viewing sections, metal drawer boxes with metal runners and solid drawer bases, 170 degrees metal hinges. Available in oak, french walnut, beech or maple. The indi-struct range has been specifically designed with strength and durability in mind. Available in Light Beech, Oak and French Walnut. A traditional style divan bed and mattress suitable for domestic, residential and nursing home use. Available in a range of fabric options dependant on patient or care home requirements. 18 stone capacity. Five fold adjustable base with quiet reliable motor and easy to use handset. A selection of ceiling track and gantry hoists are available upon request, offering a unique and innovative method of transfer. The Robin versions incorporate a strap system without the use of a spreader bar. Extension bracket and extra long side rails. Compatible with Prestige and Deluxe Beds. The indi-struct range has been specifically designed with strength and durability in mind. Available in beech, oak and french walnut colour options. The imola living range is versatile with a variety of different options. Easy wipe melamine veneers offering great durability for everyday use. Available in maple, beech, oak, french walnut or opera walnut colour options. Designed to raise and lower patients for transfers and toileting. Removable mast and footplate. Weight capacity 152kg. Electric stand aid hoist for standing or seating assistance. Maxiumum user weight 158kg. A patient stand aid hoist with 175kg capacity. Removable footplate enables use as assisted walking aid or hoist. Floor fixing bath hoist with concrete or wood fixings. Safe working load 130kg. Side or end fitting option. Lightest ultra modern bath lift, lowering to 6cm. Quick charge lithium battery. 140kg user capacity. Variable motor options with teardrop back. Alternative cushion options available. Beaucare is now able to offer a professional contract furnishings package. Surveying your care homes precise requirements with made to measure curtains, cushions and room accessories. This section demonstrates the colour combinations and capabilities of our service. 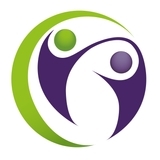 To discuss your requirements, contact our Furniture4Care Brand Manager on 01423 816006. Additional fabric choices are available, call the sales team for further details. standard Beaucare colours, this may vary depending on the chosen range. Please ask our sales team for details. Dining table tops Our dining table range is available with standard tops of beech veneer on an 18mm MDF core or HPL tops of high pressure laminate on a 25mm MDF core. The latter is ideal for more demanding situations. All four legged tables are available with square, taper or cabrio legs. Product finishes We use a Medicote wood lacquer on all our sprayed finishes. This contains antibacterial agents to fight a wide range of bacteria. Seat heights Those items displayed in the catalogue are standard sizings. However a range of seat heights are available if required. Ask our sales office for details. Pressure relief A selection of chairs can be provided with pressure relief seat foams as an optional extra. Flame retardancy All our furniture is suitable for medium hazard areas as defined by BS7176. We use only contract grade foams and fabrics which comply with BS 5852 crib 5 as standard. We are able to produce furniture suitable for high hazard areas with crib 7 testing if required. Delivery arrangements Our sales team are able to quote for your specific delivery requirement, it maybe that you require room placement or multiple locations. We can provide delivery arrangements to suit your specific needs. Order Form - Photocopy me! Customer Order No. Your Account Ref. TERMS & CONDITIONS OF BUSINESS Beaucare® Medical Limited, Hornbeam Square West, Hornbeam Park, Harrogate, North Yorkshire, HG2 8PA, shall hereinafter be called 'The Company’. The Company’s standard conditions of business are to apply unless agreed beforehand in writing by The Company. 2 Ordering 2.1 The Company will accept orders by phone, fax, in writing, email or online. 2.2 When ordering, customers are requested to state their name, order number if appropriate, telephone number, invoice and delivery address. 2.3 When ordering, customers should quote the product code, quantity required and give an accurate description of the product. 2.4 Title and ownership remain the property of The Company until goods are paid for in full. 2.5 Goods will be invoiced at the price ruling at the time of despatch. 2.6 Where customers have supplied their own material it is their responsibility to maintain adequate insurance cover for their property. Whilst Beaucare Medical will take all reasonable steps to ensure the safekeeping of customer’s own material, we cannot accept any responsibility or liability for said property whilst in our control. 3 Delivery 3.1 Delivery for large items, such as furniture, will be charged at cost. 3.2 Additional delivery charges may apply for large items that require a two man delivery. 3.3 Delivery of furniture that requires room placement will be subject to additional charges. 3.4 Please allow 4-6 weeks delivery for out-of-stock furniture items. 3.5 Claims for non-delivery must be made in writing within 7 days of the anticipated delivery date, or The Company accept no responsibility for loss of delivery. Damage and missing items must be reported within 3 days of delivery, in writing, or The Company shall not be liable. 3.6 To store or arrange storage of the Goods until actual delivery or sale and charge the Buyer for all related costs and expenses at a rate of 1% of the order value / week. 4 New Customers 4.1 All new customers are requested to confirm their first order in writing on business/organisation letterhead paper signed by an authorised person. 4.2 For all new customers, payment may be requested in advance before goods will be despatched. 4.3 All new customers may be required to send payment with their order until a trading history has been established (a minimum of three months). 4.4 When a satisfactory trading history has been established, credit facilities will be granted subject to receiving suitable trade and bank references. 5 Large Orders 5.1 For all high value orders, a deposit will be required. 5.2 In certain circumstances, full payment with order will be required. 5.3 In certain circumstances, full payment on delivery of goods will be required.